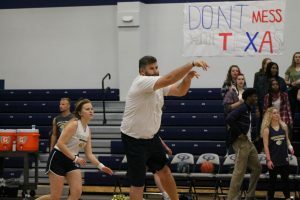 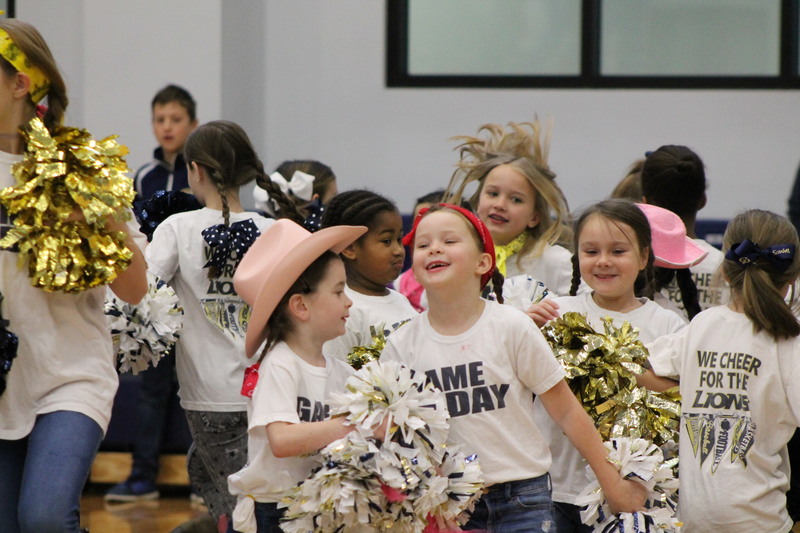 The recent basketball pep rally was full of Texas flair. 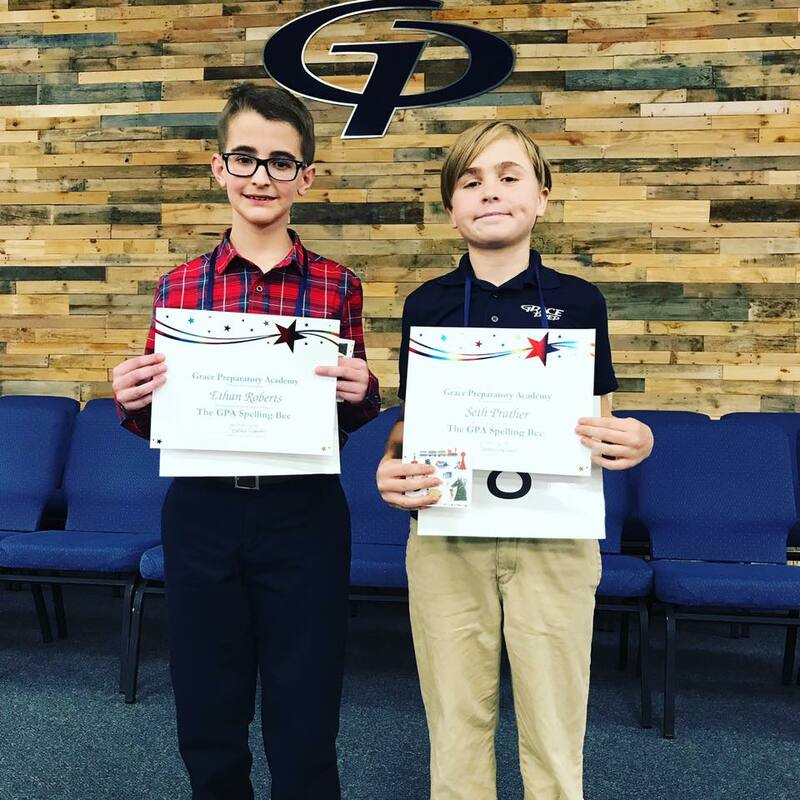 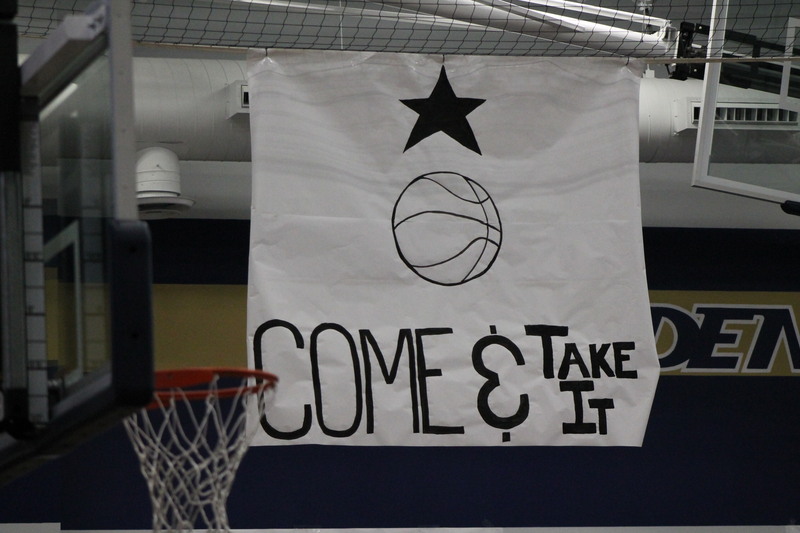 From the “Come and Take It” banner to the yee-haws and western attire, there was no doubt Grace Prep is Texas through and through. 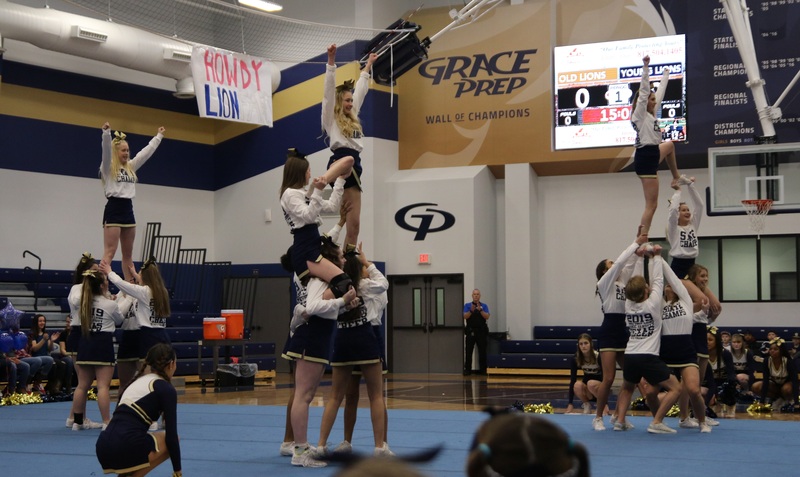 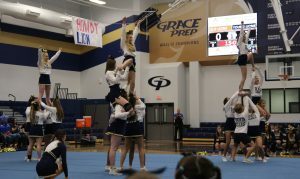 The competition cheer squad performed a modified version of their state championship-winning routine, and the Little Lions cheerleaders danced to “Deep in the Heart of Texas”. 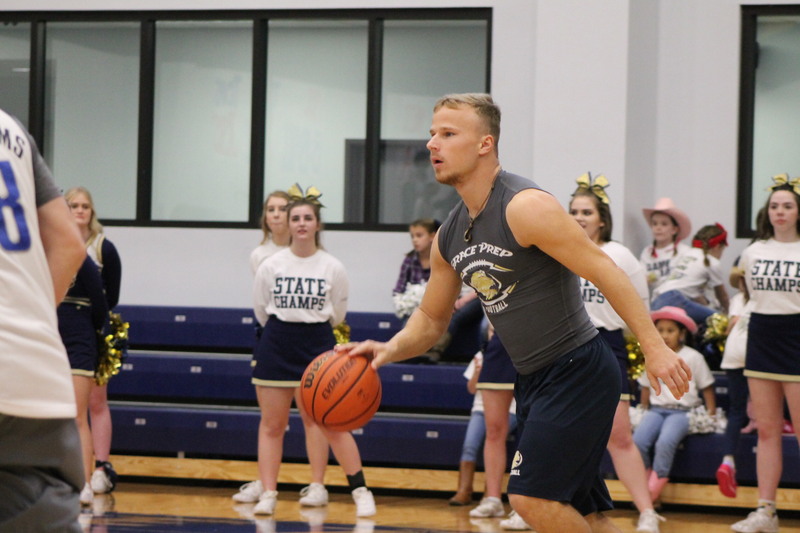 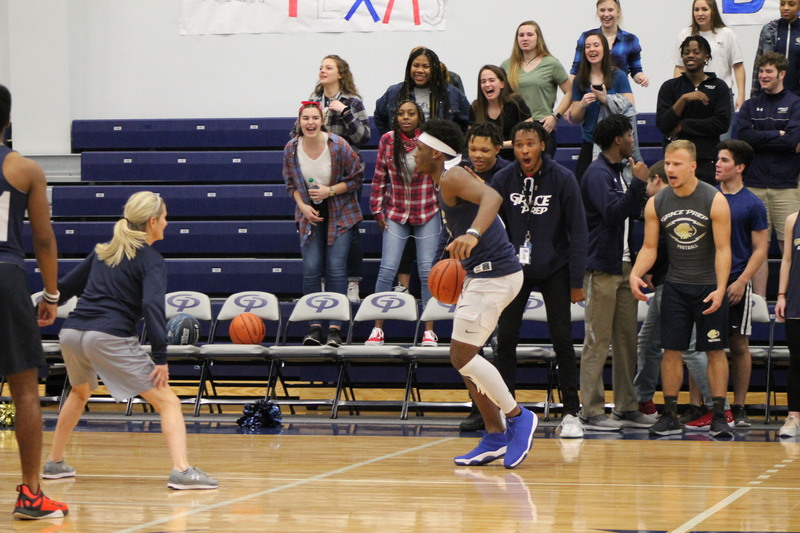 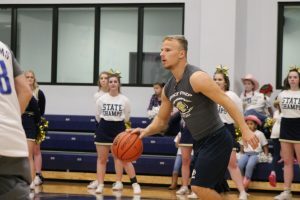 Following the introduction of both the varsity girls and boys basketball teams, it was time for the Old Lions-Young Lions basketball game. 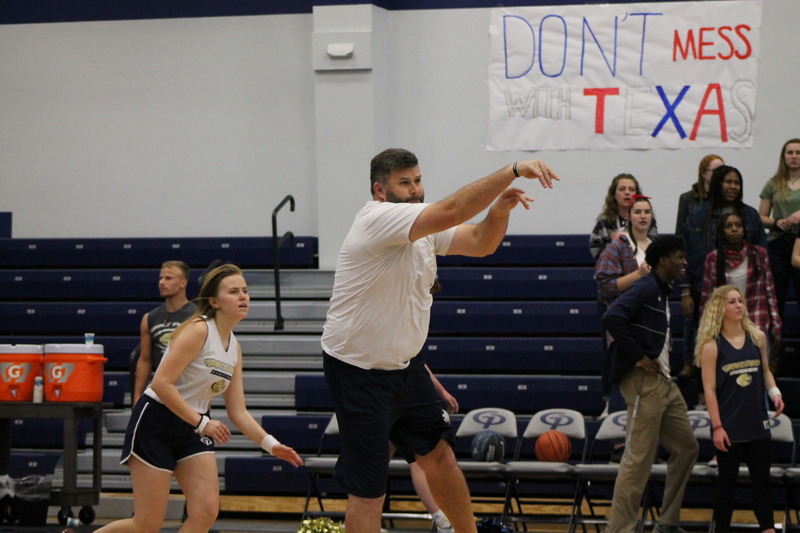 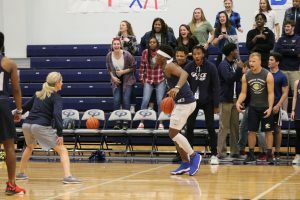 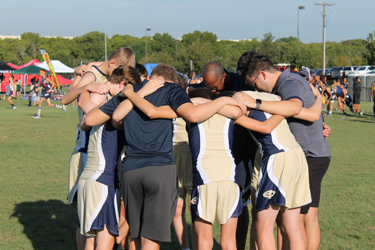 The Old Lions, featuring a variety of GPA coaches, and the Young Lions, made up of high school students and coached by seniors Myles McCrary, Trey Jordan and Lundyn Ellison, battled hard for 15 minutes before the Old Lions won the battle and bragging rights, 25-20.